When the bite gets tough, bass fishermen turn to light line, light lures, and spinning reels. They are an essential tool for bass fishing that sometimes get a bad rap for being “finesse”. I don’t know about you, but if finesse is what puts fish in the boat, then that is what I’m going to do. The best spinning reel for bass fishing will excel at a wide array of fishing techniques such as; drop shot, split shot, shaky head, wacky worm, weightless plastics, tubes, spinners, grubs, and small crankbaits. You can accomplish all of those techniques by pairing your bass fishing spinning reel with a 6′-6″ Medium action spinning rod and 8 to 10 pound test line. That single combo is super versatile and will have you ready for all kinds of conditions on the water. Pflueger Patriarch – Lightweight, durable, with the reliability of a Plfueger. Abu Garcia Revo Rocket – High speed retrieve, nothing like it on the market! Abu Garcia Revo STX – Another strong Revo bass spinning reel option. 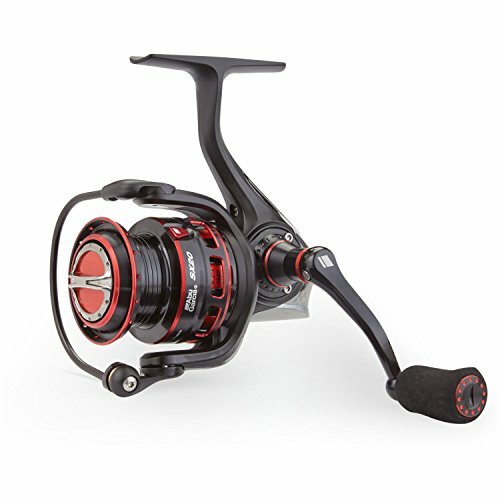 Daiwa Fuego – A lower priced option from Daiwa, a bass angler favorite. Drag System – You want a strong, yet smooth drag system when you’re fishing for bass with spinning gear. A strong drag allows you to put some muscle into setting the hook when you need to. The smooth engagement ensures you won’t break your line on the hook set, or when that 5 pounder makes a last second dive under the boat. 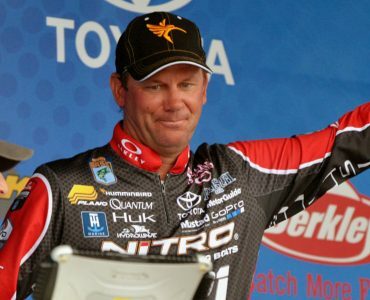 Trust me, it happens to everybody at some point, and I don’t want you to feel that disappointment of loosing a trophy bass. At the same time, a smooth drag is critical for the finesse applications like fishing the drop shot, shaky head, and wacky worm. You want the drag to engage smoothly at the top of your hook set to get the balance between hook penetration and power to keep pressure on the fish without breaking your line. 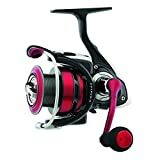 Spool Size – Spinning reels are offered in several spool sizes, but for bass fishing, the middle two sizes are the way to go. Those sizes handle 8 and 10 lb test line the best, are lightweight, and easy to handle with finesse fishing techniques. 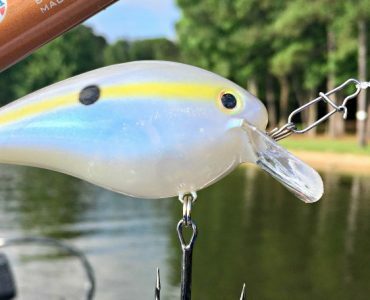 Sensitivity – Being able to detect light bites is key to success while bass fishing with spinning gear. To help transfer feel from your line and lure, through the rod, and into your fingers and hands, we recommend reels with aluminum or carbon frames. Price – I tend to recommend reels in the $130-200 range for bass fishing. I like the better quality of reels in this range, and I can more easily afford to outfit my typical 3-4 spinning rod lineup. One for drop shot, shaky head, wacky rig, and jig worm or Ned Rig. There are some good reels under $100, I just prefer the refinement of a higher class reel for my bass fishing. Here are our Top 5 bass fishing spinning reels. 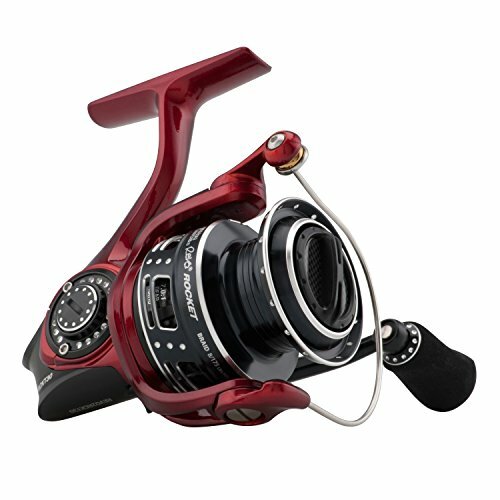 Each of these spinning reels would be great for nearly all finesse bass fishing techniques. We scoured the web and aggregated customer reviews and combined this with our own experience. 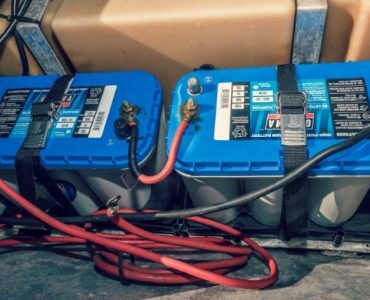 These reels represent great choices from different prices ranges, so if you can’t justify the money for a sweet $300 reel, you can be sure that these picks will still get the job done for you. 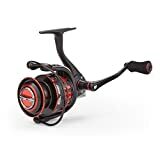 Best Bass Reel for the Money: The Revo SX is one of the most versatile and popular bass fishing spinning reels you can buy today, period. The Revo SX is strong, lightweight, and smooth in all aspects. The reel is built on a foundation of the latest X-Craftic alloy and C6 carbon materials that makes the reel feel really light, yet strong in your hands. I really like how balanced the reel feels on a 6’-6” medium action spinning rod, which is why I love my SX30 so much for shaky head and drop shot fishing. Abu Garcia managed to cram 8 stainless steel HPCR ball bearings into the Revo SX, which combined with the solid brass gears and one piece gearbox, really provides a solid mechanical base for cranking power without flex or any sense of weakness. It just feels pure whenever I’ve leaned into a good sized bass. I mentioned versatility, and this comes into play with the machined aluminum spool that comes with the Revo SX. It is specifically design to hold braid directly on the spool with no slippage. I like 8 or 10 lb monofilament on the main spool for flukes and weightless plastics, and have had a lot of success with 12lb Power Pro tied directly onto the spool for shaky heads and lightweight cranking. 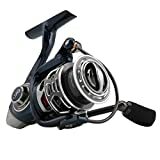 Light and Strong Bass Reel: If you’re looking for a featherweight bass catching spinning reel, then look no further than the Pflueger Patriarch. They went all out after the lightweight concept on the Patriarch, and it looks like they nailed it. The mid-sized models 9535X and 9540X weigh a scant 7.4 ounces and 8.1 ounces respectively. That’s a full ounce lighter than similarly sized reels in our Top 5. They achieved this by using high tech materials where it counts. On the body, rotor, and side plates they went with magnesium, one of the lightest and strongest metals in world. Pflueger didn’t stop there, they went all out and designed the main shaft out of titanium rather than stainless steel, and carbon handles with VA foam grips instead of aluminum. Even the spool has all unnecessary material machined out of its sides, plus a carbon fiber arbor. All the attention to detail makes the Patriarch feel like an engineering marvel. So we know its light, but how does it fish? Testing has shown the Patriarch to have a refined reeling motion, providing a feathery yet solid retrieve, with zero back play or any perceptible wobble in the rotor. Additionally, the carbon fibers drag discs are sealed inside the spool arbor, and while the drag system is not the strongest, at least it is smooth. The smaller 9525X and 9520X sizes have a relatively low drag power, making them ideal for ultralight line applications like clear water drop shot fishing. Best High Speed Spinning Reel: As it’s name implies, this is a high speed, fast retrieve spinning reel. The Rocket is geared to a 7.0:1 ratio, and takes up line at a rate of 37-44 inches per handle turn depending on the size. That type of speed is unheard of in freshwater spinning reels, and really give bass anglers and interesting tool to work with. First let’s review the features that bass heads will learn to love about this reel. The Rocket is designed with “Rocket Line Management”, and a Rocket lip on the spool, both of which help to combat line twist and spool the line back evenly (important when the line take up is so high). You’ll also appreciate the machined braid spool, EVA paddle knobs, and the light weight. The 30 weighs just 7.7 ounces, and the 35 just 8.1 ounces. Finally, the drag performance is fantastic. The Carbon Matrix design engages effortlessly, especially on the hook set, as well as when a fish surges. A good drag is critical when burning soft plastics on light line. You need instant engagement to set the hook and keep pressure on the fish. How can you take advantage of this unique reel? If you like to fish bottom baits like mojo rigs, shaky heads, or jigworms, this reel will help you take up slack faster for quick hook sets. If you like to fish weightless plastics like Flukes and Senkos, the high gear ratio allows you to fish as slow or fast twitch as you like. 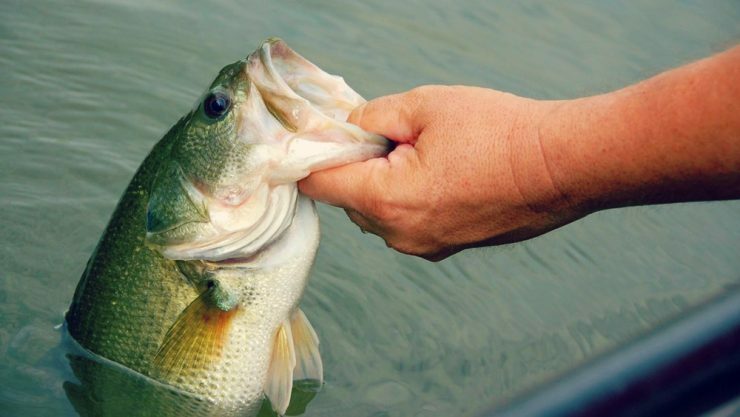 Lastly, think about how frequently a bass will swim at you while finesse fishing. The high speed retrieve enables us catch up to the fish, and get a hook in them. What rod would you recommend using with the abu garcia revo sx30? Mainly bass fishing. Under $100 – look at a Fenwick HMG. At $130 I’m hearing good things about the new Abu Garcia Ike series. Then on the higher end, it’s hard to beat a G.Loomis E6X. Pick a rod with that is 6′-6″ to 7′ long, MH power, Fast to X-Fast action. 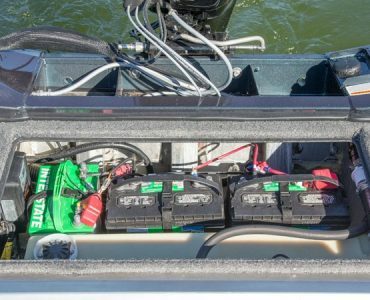 Can you use the quantum energy for inshore salt water fishing? It’s not intended for use in saltwater, but if you are good about washing and cleaning it after each use you shouldn’t have much trouble. I think the 20 is on the small side for dropshots. It seems like the pros are all going towards larger sized spinning (reduce line twist, handles fluorocarbon line better) so I would go with the 35. What do you think about the lews brand. I’m not as familiar with their spinning reels, I did pick up a few baitcasters this year and really like them. If Lew’s spinning are as good as their baitcasting, then they will be a good buy.